Yesterday 2 new listings came on the system. One on 1700 acre Great East Lake in Wakefield NH and the other on 3000 acre Ossipee Lake in Ossipee NH. Both these homes were build in the 195o's. Level Sandy Beach with plenty of room for guests in this 4 bedroom home. Great East Lake Waterfront at it's best. This year round home has expansive views of the Mountains and Lake. 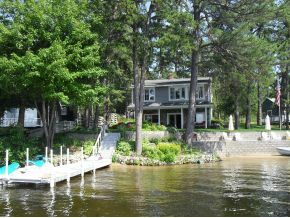 Nice sandy waterfront with large dock, home has 4 bedrooms, 2 baths, large rooms, gas fireplace, updated kitchen, large deck facing water, Large Family room on 2nd floor, Come see this home for yourself, it has one of the best locations on the Lake. Listed by Seven Lakes Real Estate LLC. 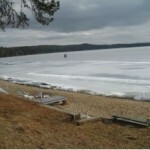 Ossipee lake, like new neat, impeccable and clean, cozy 8 room waterfront home located on a small cove area. Nice sandy beach with landscaped with retaining wall, the home has been renovated tastefully with recent improvements like cedar impression siding, windows, stainless steel appliances, roof. Features an open floor plan with living/dining area that overlooks the lake, wood pellet stove insert, bright master bedroom also faces the water. Lower level has additional bedroom plus guest room, family room and separate kitchen area so your guest can come and have their own space .Afternoon sun and auburn lit skies form the sunsets. 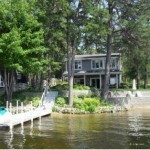 The property is beautifully landscaped Nothing to do but move in and start enjoying carefree lakefront living!! Listed by Costantino Real Estate LLC. 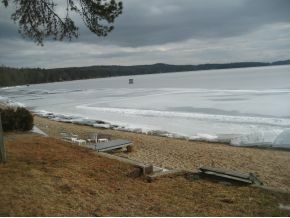 With a level sandy beach this year round home is a must see.